What are Exams and how do they help me learn? You may be assessed on your achievement of module/programme learning outcomes through examinations. Exams can include a variety of formats, including short-answer questions, long-answer essay-style questions, problem-solving questions, multiple-choice questions and/or extended choice questions. 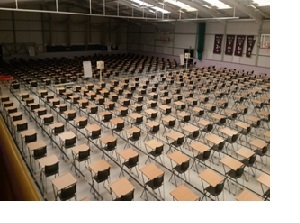 Exams are primarily used as a form of assessment OF learning. 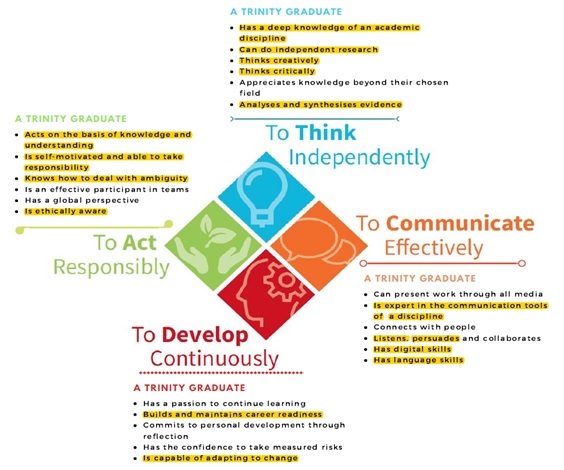 However, in some cases exams or quizzes may be arranged for the purpose of allowing you to assess your achievement of learning rather than being graded; this would be an example of assessment AS learning. Written exams are designed not only to allow you to demonstrate your knowledge, but also the extent of your understanding and ability to make connections, and that you have understood and thoroughly engaged with the relevant learning outcomes for the module. For example, using your judgement to determine how to best prepare for an exam and to answer questions. For instance, long answer essay questions require you to communicate your knowledge of a topic concisely within a defined period of time. Successful exam preparation involves consistently attending lectures, staying on top of readings, revision, and review. 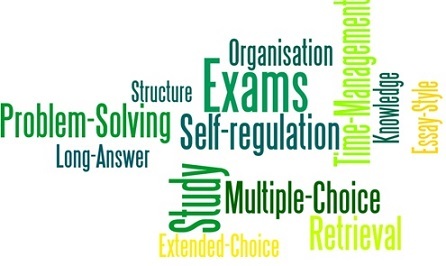 In order to prepare effectively for exams, you must learn and practise good time management skills and self-regulation. You will need to understand your subject, revise and prepare well. Information regarding exam method, criteria and regulations is usually provided in your course handbook; it will be your responsibility to understand and comply with your lecturer’s exam format, and to self-regulate your study behaviour to prepare accordingly. Incorporate revision into your study routine rather than trying to cram shortly before an exam.